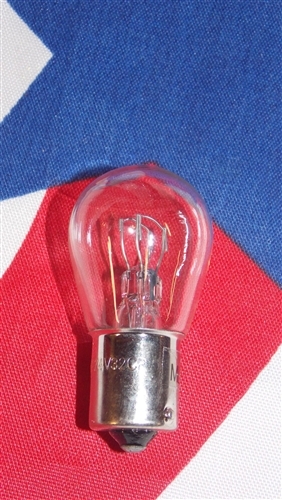 This is a 24 volt bulb for Military vehicles. Modern style taillights have one of these bulbs in each taillight and front turn signals. We also have these lights available in 4 bulb taillight sets and 3 bulb front turnsignal sets. We give the greatest care to these bulbs when we package them. So they can arrive safe and in one piece to you.